Christmas is here, and the end of the year follows shortly. This has arguably been both a difficult year and one of the best in recent memory. As our country moves through difficult economic times, we have many things to be grateful for in Blue Springs. This is a truly a time to count our blessings. I am thankful for seeing both of my daughters, Crystal and Ashley, grown and on their own as adults and hopeful for what I know will be a bright future for them. I am thankful that my extended families, both adoptive and birth, are doing well and in my life. Yes, some are struggling with the current economic situation, but we still have each other to lean on and that is worth more than we can account for. I am thankful to live in a great community where we are learning to work together, through our differences, for the betterment of all who live and work here. The visible progress is undeniable and with the latest announcements, our city has in place the building blocks to turn our economy around in the coming year. I am thankful for having had the honor of serving our community and for participating in encouraging our community forward toward those goals that make a positive difference in the lives of our friends and neighbors. I feel blessed that I have gotten to know so many new friends in the nearly 25 years I have called Blue Springs my home. It is amazing what we can accomplish when we vision together and work toward a common goal. Each day we get up and make a choice, whether to face the day with a positive attitude about the future. I for one choose to see the positive things that are happening around me. Yet, even when there are things in our community we might improve, we need to approach them with an attitude that improvement is not only possible, but inevitable. I would encourage each of you to consider those things you are thankful for and to plan how you will make a positive difference in our community in the coming year. Get involved and volunteer in at least one new opportunity that benefits your neighbors and your community. Thank you for your feedback and encouragement for the articles I write and for keeping up with what is happening in Blue Springs through my web site at www.AboutBlueSprings.com. You may contact me at jeffq@cprosinc.com. May you and your family have a very Merry Christmas/Holiday season and may your new year be prosperous and joyful! Learn more about this exciting new development in Blue Springs. 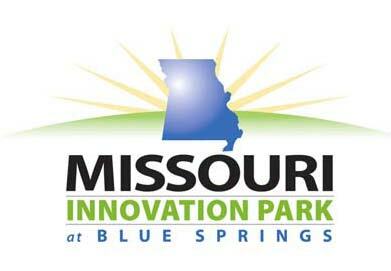 Following are links for more detailed information about the Missouri Innovation Park at Blue Springs. Monday was a great day for Blue Springs! Despite objections and two “no” votes from 3rd District Councilmen Fowler and Solon, the City Council supported the next step toward the completion of the Adams Dairy Landing shopping center. This project, a high priority of our citizens for many years, continues to move forward despite the national economic climate. Even more exciting was the announcement of the development of a 500 acre science and technology innovation park on Adams Dairy Parkway, the “Missouri Innovation Park at Blue Springs”! Anchored by the University of Missouri, the innovation park development will bring high paying jobs to our city and realize a significant portion of the original vision for Adams Dairy Parkway. Each step of progress since the parkway was conceived eighteen years ago was a necessary step to the culmination of this important development. The hard work of many organizations, elected officials and citizens has resulted in a unique opportunity for this exciting addition to the parkway. Mayor Grounds and the council members that served with him conceived and approved the building of the parkway and its early amenities. Mayor Steiner and the council members that served with him supported the concept of a public/private partnership and formed the Blue Springs Economic Development Corporation, recognizing that sometimes progress comes from outside of city hall. With the realization that shopping and dining opportunities would create a climate to encourage office park development and meet the needs of our citizens, our elected officials wisely chose to adapt the plan for the parkway. A much divided Planning Commission voted to recommend approval of zoning and comprehensive plan changes for two commercial projects on Adams Dairy Parkway Monday evening. Several planning commissioners expressed concerns that these projects do not reflect the original flex/tech office plans for the parkway in Blue Springs. Adams Dairy Parkway and the Mall at Fall Creek are just two examples of projects that stagnated for more than a decade because our leaders refused to be flexible when reasonable alternatives were presented. In the more recent past, City Council and Planning Commission members have recognized that our city must be open to new ideas for development and must let go of long-held concepts that were not being realized. I would like to extend my heartfelt congratulations to the Blue Springs School District and the Golden Regiment Marching Band. They have been honored with the opportunity to represent our city and state, marching in Barack Obama’s inauguration parade in Washington, D.C., just two weeks after they return from marching in the Tournament of Roses Parade in Pasadena, Calif. This is an exciting time in Blue Springs with so much national attention on our community! Get two tickets for the price of one to the Christmas Concert! Print this article and bring with with you to the Heritage Philharmonic Concert at 7:30pm on December 13 at Blue Springs High School Performing Arts Center and get two tickets for the price of one.